THIS IS 1 OUT OF A SET OF 4 IMAGES AND THEY ARE ALL SO CUTE. 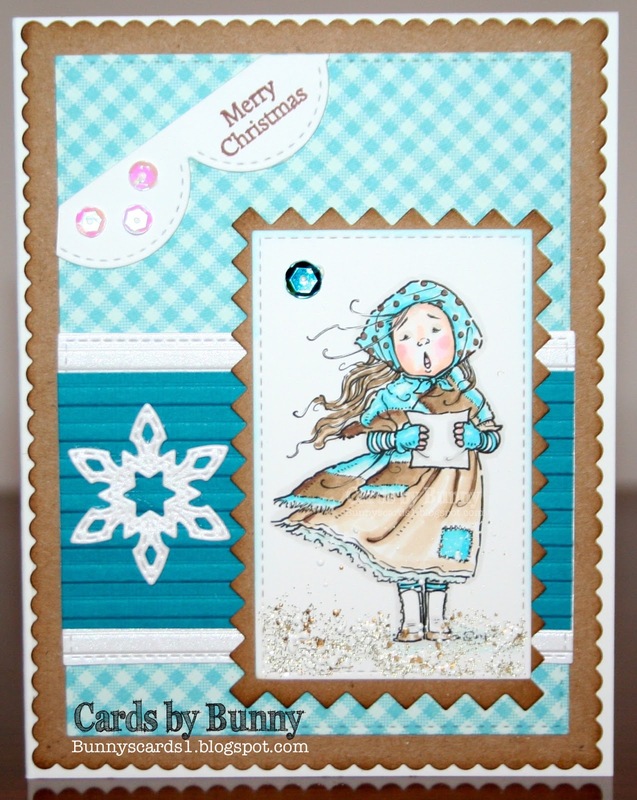 MO HAS A SALE GOING ON THIS MONTH SO YOU MIGHT WANT TO TAKE A PEEK AT THE OTHER CAROLERS THAT COME IN THE SET. Hi - buzzed in from Mos challenge - what a beauty you have done, I have this one, so now full of inspiration. Love the mono chromatic effect. Lovey card Bunny. Thank you so much for playing along with us at Holly Jolly. Hope to see you again soon. Good luck. Wow your card is just perfect. Thanks so much for joining us at Mo's Digital Stamps.